Purple Moon you saw me standing alone...um.. I guess I'm not alone I'm with two furry friends-help put us together again. All 300 pieces! 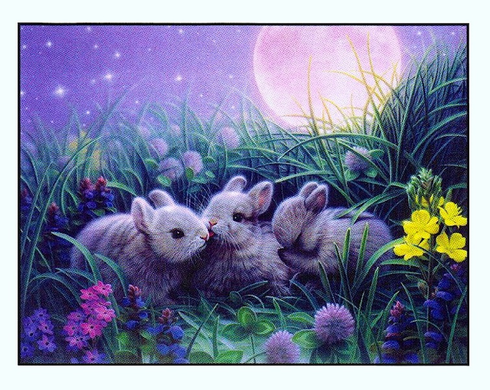 This beautiful bunny puzzle measures 18"X24" This puzzle is Eco-Friendly and printed with Soy-Based Inks on Recycled Board. Proudly made in the USA.